Photo of the heel of the fire as seen from the helispot. Photo from the preliminary report. While researching another topic I ran across a preliminary report about a helitack crew that on July 1, 2018 was extracted by their helicopter after the wind changed on the fire, driving it toward their helispot. This occurred on the Spring Creek Fire in Colorado. Because of the timing of the events and since they had to quickly move 150 yards to another location as dense smoke made it unsafe for the helicopter to land at the helispot, it might be described as a close call. But it appears that the reason the report was written was that the crew decided to leave the water bucket and long line attached as they evacuated in the aircraft. Having passengers in a helicopter with a bucket attached is not consistent with policy. Below are excerpts from the preliminary report. The photos are also from that document. Our opinion is at the end, following the excerpt. …The HMGB [Helicopter Manager, Single Resource] called pilot and requested him to land and pick up the crew, thinking there was still plenty of time to load bucket, gear and crew members. At the time of radio call the pilot had just dropped water in view of the crew, and was less than thirty seconds from the helispot. Winds continued to increase from 10 to at least 30-35 mph. At this time fire behavior increased dramatically, causing all the vehicles parked near helispot (approximately six or eight) to mobilize as quickly as possible and drive down the road below. The IC asked the crew face to face if we were all good before he left. The HMGB considered jumping in the vehicles for a ride but quickly decided not to. The Decision was based on the time it would take to physically get into vehicles, the time it was taking for the vehicles to actually get headed down the road, the location of the fire at the time, and not being familiar with the fire experience of the vehicles occupants. HMGB deemed it best for the helitack crew to stick together. As aircraft approached helispot, the pilot informed crew that there was too much smoke to land, but had another landing zone in sight downslope. The crew grabbed gear and began hiking towards the aircraft’s hovering location approximately one hundred and fifty yards down down slope. Helitack crew arrived at the new landing zone as the helicopter was landing. HMGB and crew began loading gear on the pilots side, and had full intentions of loading bucket and longline, but HMGB noticed pilot signaling to plug in flight helmet. Crew members continued to load gear and HMGB went around nose of aircraft, opened managers door, stood on skid and plugged in flight helmet. Pilot advised that he recommended loading crew and picking up with the longline and bucket attached to get to a safe location. Pilot made decision based on the fires rapid progression from time crew left helispot and hiked down to the second LZ. HMGB took a quick scan of fire and agreed with pilot that we needed to lift ASAP. Two days later looking NNE. Red H is helispot. White circle is second LZ. Green arrow shows wind direction all afternoon. Yellow arrows show wind switch and fire spread direction. HMGB went back to cargo area and told the two crew members to forget the bucket and load up we would lift with the bucket attached and relocate to a safe location. The crew members understood and agreed and loaded up. The HMGB made sure aircraft doors were secure, confirmed everyone was buckled and told pilot we were ready to lift. As aircraft lifted, the longline and bucket were on the managers side of aircraft. The HMGB relayed the status of longline to pilot until it was out of view and in view of the pilot out the bubble window. As aircraft flew away, the pilot informed air attack exactly what we had done. The air attack understood and relayed that the fire experienced a microburst, and one hundred percent of the fire perimeter had active fire spread.The aircraft flew about one quarter of a mile well below the fires heel, over sage brush and grass fuel model, and found a safe place to land. Once on the ground the pilot informed crew we had plenty of fuel, and to take our time loading bucket. The aircraft departed landing zone and flew back to airport in Alamosa, CO to RON. The manager met with the rest of the crew and notified the crews superintendent. HMGB conducted an AAR, and notification was made up the chain of command in the region and the home base region. The photo shows the fuel at the helibase, vehicles, and the area where the helicopter was working. During the AAR, HMGB commended crew members for their vigilance on the scene of fire. Crew was constantly watching the fires behavior and spread, discussing the wind direction and different options to escape if needed. The black identified as a safety zone had a road going from the helispot up past it and was viable until the wind switched and increased pushing the fire up towards the road edge. The crew identified the helispot’s lack of burnable fuel and deemed it a safe spot. A later flight showed that the helispot did not burn, but when the IC decided to leave the spot, the crew did too. Plus one will never know how much heat was actually funneled over it. There was another open ridge downslope about 500-600 yards with a road leading to it that a helicopter could most likely land. The crew could have gotten a ride down to scout it out before the fire blew up, but that location didn’t have a vantage of the fire. The crew actively talks with pilot about what to do in emergency situations. The crew had even talked earlier in the week about flying with a longline attached. It was comforting to know that those discussions took place and what to expect and the risk involved. The crew also practices proficiency bucket deployment, and packaging drills almost weekly. (Not with rotors turning) This gives managers and crew members a rough idea of how long it takes to perform these functions in the field. The HMGB on board has worked with the pilot for over eight seasons. The relationship, discussions, and trust built over the years was extremely valuable in the decision made that day. Appropriate action taken during the extreme fire conditions and glad there was a positive outcome. Suggest a review of the additional risk decision to fly with the longline and bucket with personnel on board. The cost of a longline and bucket burning up is not worth the additional risk and exposure to employees. This is similar to teaching firefighters to drop their packs prior to deployment of a fire shelter from my perspective. The report clearly outlines the fact that the crew felt they did not have time to package and load the bucket and long line, but there is no mention that they considered disconnecting it and taking off without it, leaving it on the helispot. Surely they did think about it, but the replacement cost if it was destroyed in the fire may have been a concern. I support breaking the rules if there is an urgent, critical need to do so, and if all of the alternatives and possible outcomes are considered. Especially if a person’s life is threatened. In 2012 a firefighter on the Pole Fire in Oregon was rescued from an advancing wildfire by climbing into a water bucket below a helicopter. The firefighter very reluctantly got into the bucket only after repeated warnings from the pilot that the fire was approaching and he was in immediate danger. In 2014 on the King Fire east of Placerville, California when a hand crew was in danger of being overrun by flames a helicopter pilot considered using his bucket to extract the personnel. However, he continued to communicate with the crew and escorted them to safety as they walked and ran a considerable distance, orbiting over them and providing constant updates. The whole time he had water in his bucket saving it in case there was a need to protect the crew. Above: file photo of firefighter with Orange County Fire Authority helicopter. OCFA photo. In an air battle over the responsibility for helicopter rescues in Orange County, California the losers are the taxpayers and accident victims. Historically the County Sheriff’s Department air fleet has taken the lead for searches, while the Orange County Fire Authority has handled rescues. Recently, however, the Sheriff has been poaching responses to rescues resulting in multiple helicopters appearing over the same incident potentially causing airspace conflicts and confusion. According to the Orange County Register it happened twice on April 29, with the Sheriff’s helicopter being told repeatedly by the Incident Commander they were not requested and then ignoring orders to “stand down”. …Recordings from radio chatter on Saturday show sheriff pilots ignoring direct orders from local commanders. The sheriff helicopter completed the medical assistance call anyway. “My concern is if you have four aircraft in the air, and the sheriff refuses to communicate, who will get hurt if there is an air accident?” said Orange City Fire Dept. Deputy Chief Robert Stefano. In Laguna Beach, where an intoxicated 17-year-old was pulled from a beach cove, the commander told the Sheriff’s pilot, “You are not requested.” The Laguna official also declared that the Sheriff’s pilot was creating “an unsafe air operation” by not answering direct orders. It is absurd that emergency management professionals operating very expensive aircraft cannot act like adults and do what is best for the taxpayers, citizens, and accident victims who need the best medical care available administered in a safe environment. The Orange County Register has a recording of the radio conversations that is astounding. The federal wildland fire agencies issued advice for firefighters, to consider the safety implications and massive water dropping capabilities of the six CH-47D and BV-234 Type 1 helicopters that are now on contract. 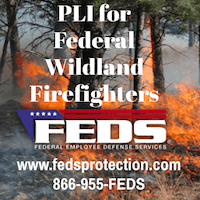 The Centers for Disease Control and Prevention has published the results of a study that collected information about aviation-related fatalities of wildland firefighters between 2000 and 2013. You can see the entire paper HERE (see page 793), but most of it is below. Airplanes and helicopters are integral to the management and suppression of wildfires, often operating in high-risk, low-altitude environments. To update data on aviation-related wildland firefighting fatalities, identify risk factors, and make recommendations for improved safety, CDC’s National Institute for Occupational Safety and Health (NIOSH) analyzed reports from multiple data sources for the period 2000–2013. Among 298 wildland firefighter fatalities identified during 2000–2013, 78 (26.2%) were aviation-related occupational fatalities that occurred during 41 separate events involving 42 aircraft. Aircraft crashes accounted for 38 events. Pilots, copilots, and flight engineers represented 53 (68%) of the aviation-related fatalities. The leading causes of fatal aircraft crashes were engine, structure, or component failure (24%); pilot loss of control (24%); failure to maintain clearance from terrain, water, or objects (20%); and hazardous weather (15%). To reduce fatalities from aviation-related wildland firefighting activities, stringent safety guidelines need to be followed during all phases of firefighting, including training exercises. Crew resource management techniques, which use all available resources, information, equipment, and personnel to achieve safe and efficient flight operations, can be applied to firefighting operations. Airplanes and helicopters play a major role in the control of wildland (forest, brush, and grass) fires. These aircraft are used to deliver equipment and supplies, deploy and transport firefighters, conduct reconnaissance, scout and direct operations, and deliver fire retardant or water. During the past decade, the United States has experienced an increase in the size, frequency, and severity of wildfires, likely attributable to buildup of flammable vegetation, decline in snowpack, and human development in the wildland urban interface (1,2). If these conditions continue, more fire response workers will be needed, and the demand on aviation to support these efforts will increase. To identify risk factors for aviation-related wildland firefighter activities, NIOSH reviewed and extracted case reports from the Fire Administration Firefighter Fatality surveillance system, the National Fire Protection Association Fire Incident Data Organization database, the National Wildland Coordinating Group’s Safety Gram, and the National Transportation Safety Board aviation database. 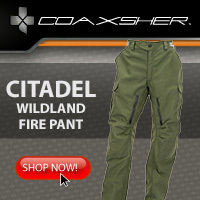 A wildland firefighter fatality was defined as any death that occurred in a paid or unpaid wildland firefighter, contractor, aviation crew member or support staff, inmate, or member of the military while performing official wildland fire duties, including operations (fire or nonfire incident), responding to or returning from a wildland fire incident, or other officially assigned duties. * Other emergency response workers who were fatally injured at wildfires were excluded from this analysis. The number of flight hours for the U.S. Forest Service was used as a denominator to indicate the use of aviation resources because flight hours from other agencies or workforce numbers were not available. During 2000–2013, a total of 298 wildland firefighter fatalities were identified, averaging 21 fatalities per year. Among these, 78 (26.2%) were caused by activities associated with aviation. The number of aviation- related fatalities decreased during 2007–2013, compared with 2000–2006 (Table 1). Of the persons who died in aviation-related activities, 76 (97%) were male, and 53 (68%) were flight crew members (e.g., pilots, copilots, and flight engineers). The average age of flight crew victims was 49 years (range = 20–66 years) and of nonflight crew victims was 33 years (range = 19–54 years). The most common occupation of nonflight crew members was firefighter. Most victims were employed by aerial contractors (42), followed by the federal government (15), state government agencies (10), ground contractors (seven), and the military (four). Twenty-five (32%) of the aviation-related fatalities occurred in California, eight occurred in Nevada, and seven in Idaho (Figure). One of our loyal readers pointed out to us that the same issue of Skies magazine that had an article about the two large air tankers spending the Australian summer down under, also had something written by Tony Kern, but he said that he was unable to view it. At first we were going to link to it and wanted to be sure we got Mr. Kern’s title right for when he worked for the U.S. Forest Service. It turned out that the piece he wrote was not terribly interesting, to me anyway — it is a short article about “selflessness”. But in the research for his title, we found the transcript of a March 26, 2003 hearing before the Senate Committee on Energy and Natural Resources. Mr. Kern was a Deputy Director of the Forest Service’s Fire and Aviation program, and was sometimes referred to as the USFS Aviation Director. His bio states that he was selected for the USFS job after retiring from the Air Force in June, 2000. There is no mention of him having any experience with air tankers or fire management before he took over the air tanker and helicopter program in the USFS. A piece he wrote in 2002 (along with a rebuttal by John Watt) leads one to think that at one time he believed that a lead plane preceding an air tanker on a drop was not absolutely necessary, or could be handled by helicopters, such as the AH-1 Cobra, which later came to be called Firewatch when the USFS got a couple of them up and running. 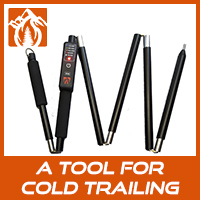 Currently Mr. Kern is the CEO of Convergent Performance, a company based in Colorado Springs, Colorado that campaigned for the state’s Center of Excellence for Advanced Technology Aerial Firefighting to be located in Colorado Springs. William R. Broadwell, Executive Director, Aerial Firefighters Industry Association. Larry Hamilton, National Director, Department of the Interior Office of Fire and Aviation, NIFC, BLM. Jim Hull, State Forester and Director, Texas State Forest Service. Mr. Hull and Mr. Hall were co-chairs of the Blue Ribbon Fact Finding Panel on Aviation that was formed after the wings fell off two air tankers in 2002, completely shutting down, temporarily, the large air tanker program in the United States, grounding the remaining 42 air tankers. The Blue Ribbon Panel completed their report three months before the hearing. When it convened, inspections, evaluations, and recommendations were being completed and written, to try to find ways to safely reconstitute a large air tanker program. One thing that impressed me about the hearing was the quality of the questions by the Senators. Most of them were intelligent, insightful, and showed a surprising understanding of the fire aviation program. Of course it is possible, or probable, that the staff of the Senators and the Committee prepared the questions which were then simply read. But some of their comments seemed to be extemporaneous, and perhaps not composed in advance. And Chair of the Committee, Senator Larry Craig, in spite of his misadventure four years later in the restroom at the Minneapolis-St. Paul airport, led a productive hearing and also asked excellent questions. Many of the topics discussed during the hearing are still contentious today, having not been acted upon or resolved. Some of the answers to the Senators’ questions could be heard now if a similar hearing was underway on Capitol Hill. The transcript from the hearing is long, but if you’re a fire aviation geek you may find it fascinating — and infuriating. MD-87 at Redmond, June 9, 2014, showing what appears to be retardant on the fuselage on and above the wing in front of an engine. Photo by Jeff Ingelse. The Oregonian is reporting that one of Erickson Aero Tanker’s MD-87 air tankers will return to service the week of July 27 with a second to return the following week. On June 27 the company recalled the three MD-87s they were operating, tanker numbers 101, 103, and 105, “due to intermittent engine surges when dropping [retardant at] high coverage levels”, according to the U.S. Forest Service. The Oregonian reported today that Glen Newton, the air tanker operations manager for Erickson, said the aircraft were shut down because retardant was being ingested into the engines. Engineers are making modifications at the drop doors which they expect will solve the problem. Erickson bought seven MD-87 airliners, planning to convert them into air tankers. The first two, Tankers 101 and 105, began working for the first time on contract to the U.S. Forest Service on June 4 and June 8, respectively. Soon thereafter, a third, Tanker 103, reported for duty. We ran a story (with the photo at the top of this article) on June 9 which raised the possibility of retardant being ingested into the engines. The way the U.S. Forest Service runs the air tanker program, most of the responsibility and costs for research and development for the airborne tools that ground-based firefighters need is left on the shoulders and at the discretion of private companies. It can cost millions of dollars to convert an airliner into a firefighting machine, and even more if the wheel has to be invented again for a new model of aircraft which requires a custom-engineered retardant system. It is inevitable that as these new designs are integrated into the fleet, bugs will be discovered. Engineers will have to go back to the drawing board and tweak certain systems. Neptune is on Version 3.0 of the retardant system in the five BAe-146 airliners they have converted. Building an air tanker from an aircraft designed to carry a hundred passengers is a risky undertaking for a private company. They have to invest millions, and then hope that the U.S. Forest Service will give them contracts to operate it for 10 or 15 years so that they can recoup their investment. 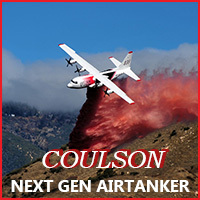 Some of the next-generation air tankers that have entered service for the first time over the last year are working on a five-year contract. When the companies have been allowed to bring on a second or third aircraft, in most cases those are on a one-year “additional equipment” contract, with no certainty that they will be used after that. A banker evaluating a loan application for a company with a business model having such an uncertain future probably has some sleepless nights. As two air tankers were descending before landing at the uncontrolled Porterville Airport on July 12 in California, they narrowly avoided a mid-air collision by 400 feet. 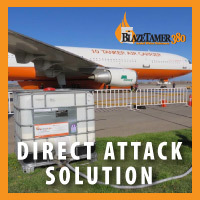 The aircraft were close to occupying the same space in the sky when the Traffic Collision Alert Device (TCAD) notified the lower tanker crew about the near collision threat from another tanker above. They took evasive action and lived to tell the story. The upper aircraft was a next-generation air tanker that could have been moving at almost twice the speed of the lower legacy aircraft; 330 to 340 knots versus 165 to 200 knots for legacy air tankers. Next-gen air tankers would include the BAe-146, Avero RJ 85, C-130Q, MD-87, and DC-10. The legacy category has the P2v, S-2T, and Single Engine Air Tankers. As the two aircraft were returning to the AAB at the Porterville Airport (an uncontrolled airport) both flight crews made their calls over the CTAF to announce their positions. When the pilots of the Legacy AT heard the NextGen AT announce their position of “15 miles out” at that moment the Legacy AT crew knew they also just announced their position “15 miles out”. The TCAD (Traffic Collision Alert Device) simultaneously reported traffic on the display and over the intercom. The NextGen AT then descended directly over the top of the Legacy AT. The Legacy AT flight crew reported that the TCAD displayed 400 feet vertical separation and confirmed it visually. The Legacy AT Pilot-in-Command took action to obtain separation from the NextGen AT avoiding the possibility of encountering wake turbulence. The NextGen AT crew did not receive a resolution advisory (RA) on their TCAS (Traffic Collision Avoidance System) and proceeded to the airport, unaware that an incident had occurred. Both aircraft landed without further incident. I may be the only person who had not seen this video before today because it’s had a ton of views on YouTube. It appears to be an actual video safety briefing for Air New Zealand passengers on a Boeing 777. I have a feeling that it will be more meaningful to those who have seen the Hobbit movies.